How many times have you been told to give up? 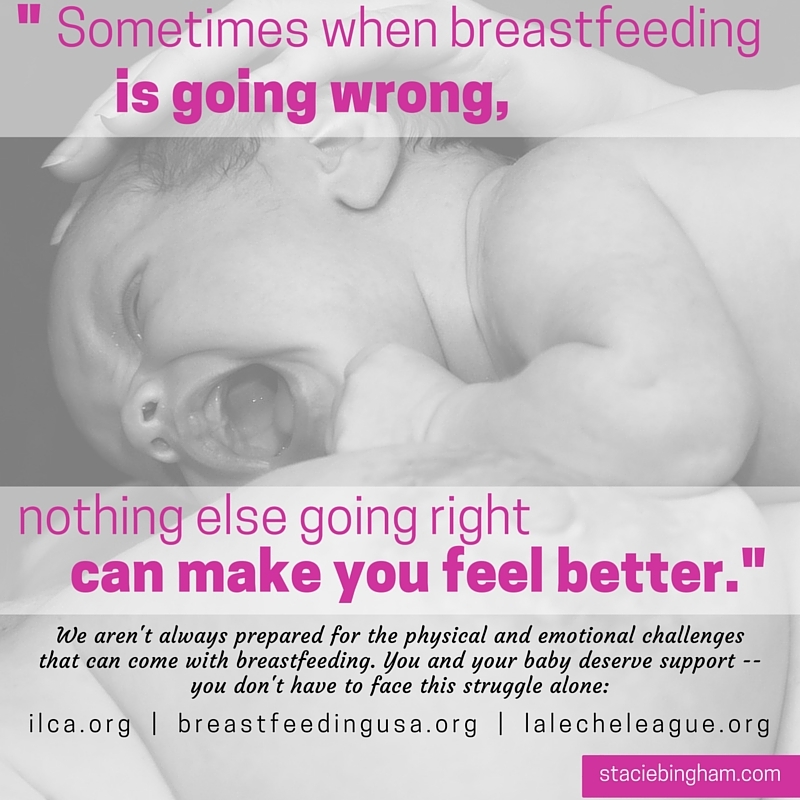 Have you received well meaning advice on your own breastfeeding relationship? If you have ever breastfed, I’m willing to bet you have experienced this. In my opinion, I believe people mean well in most cases, but more times than not, the advise is unsolicited and not helpful. Breastfeeding relationships are completely individual and each every experience will be different. In fact, most moms can tell you at least one thing different about each of their breastfeeding relationships. It is a fact breastfeeding can be hard at times, and during those difficult times, we just need to be supported. This is an excellent article that gives practical tips for moms that are experience trouble or harder times that usual with breastfeeding.